Dr. Staehling, family dentist in Raleigh, and Southern Dental Arts were proud to be a part of the Junior Leage of Raleigh’s annual Boys and Girls Club Carnival. We provided food, beverages, toothbrushes, and toothpaste for over 75 children. 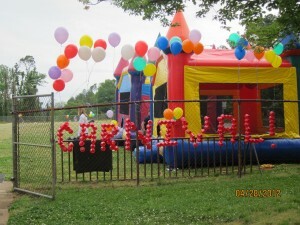 There were also games, prizes, and entertainment all put together by the Junior League at no cost to kids and parents. Dr. Staehling’s wife Danielle participated in the carnival, personally serving food and handing out toothbrushes and toothpaste, which were donated by Colgate specifically for the event. The boys and girls all had a great time, and we were happy we could help with such a great event.